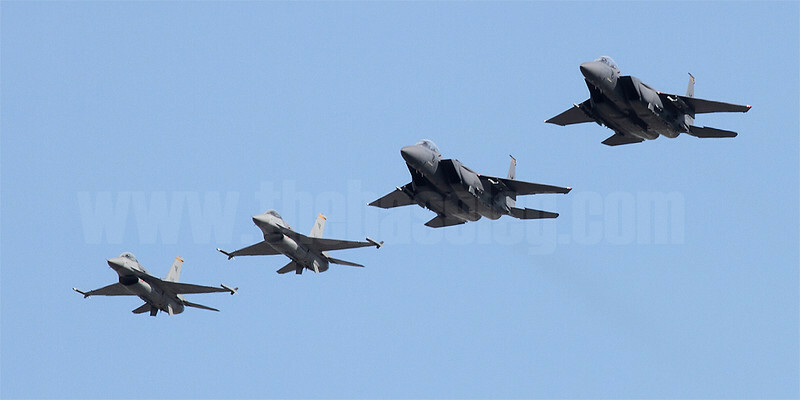 This year's Republic of Singapore Air Force (RSAF) Open House was held at Paya Lebar Airbase on the weekend of 28-29 May 2011. Base Leg Aviation News and Photography was there on both days of the weekend, as well as being fortunate enough to be invited by the RSAF and Singapore's Ministry of Defence Public Affairs Directorate to a local blogger's preview a few days before the show, which as it turned out, was a good thing as unfortunately the weather was disappointing for photography on the show days. Approaching in formation for the finale.